Family Groupings are about your family, using Willow Tree® as a representation of personalities, familiar gestures… or memories. 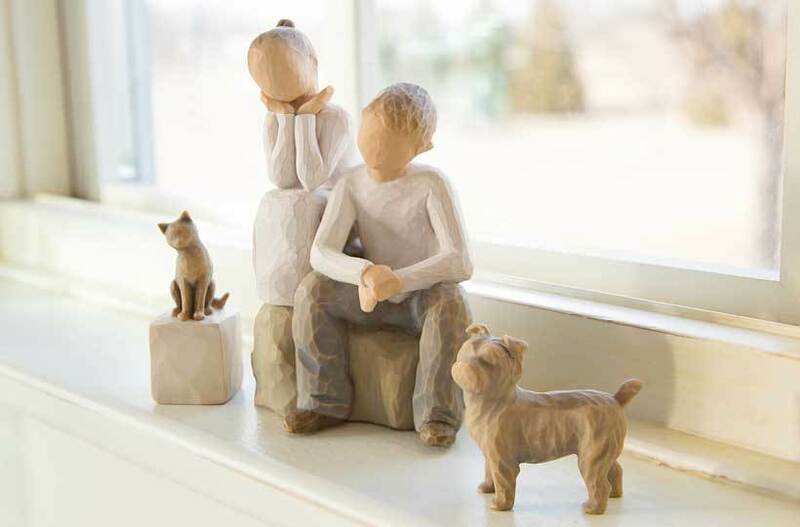 Select pieces from the four groups (Parents, Pets, Grandparents, Children) that reflect your relationships, and create a grouping by positioning two or more figures so that they appear to be interacting, turned toward one another, touching. Like families do.